On November 21, 2016, Crown Princess Mette-Marit of Norway visited Norad (The Norwegian Agency for Development Cooperation) in Oslo. The Agency is a directorate under the Norwegian Ministry of Foreign Affairs. 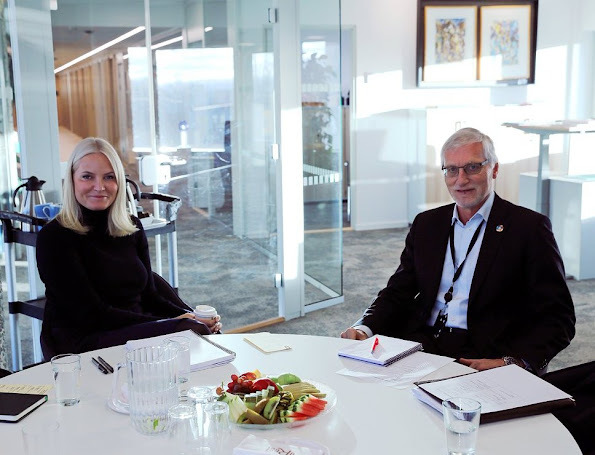 Crown Princess meets with Jon Lomøy, Director General of Norad. I think that her hair is OK, and she looks happy. I would like to see a picture of her outfit though. MM looks as though she has a lovely serene nature, she has a beautiful face.